In honor of our arduous two year process of getting approval by the bank to go live on this site. We felt like you guys are overdue for a giveaway. Up for grabs is a truly special collaborative piece of artwork by two truly awesome guys. 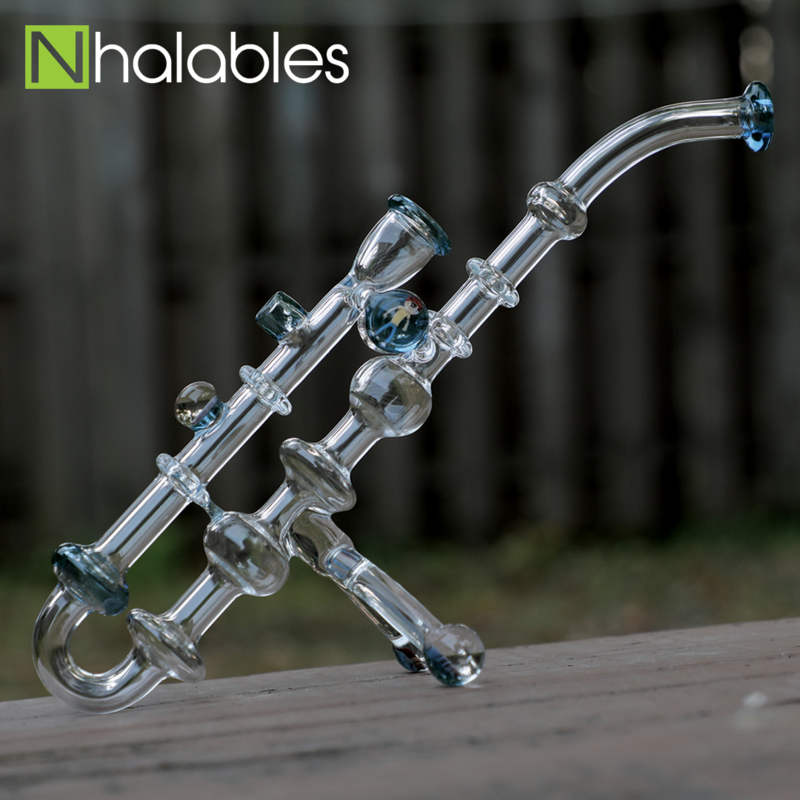 Both Hawk Glass and David Kaminski both brought their A game when they put together this crazy saxophone bubbler. We truly hope that this guy brings the winner as much joy as it brought us. We've had the pleasure of carrying a few of pieces of David's work throughout the past couple years. As winner of the 2016 AGE - Milli of the Year Award David is the mastermind behind the crazy Rick and Morty millis placed all around this piece. 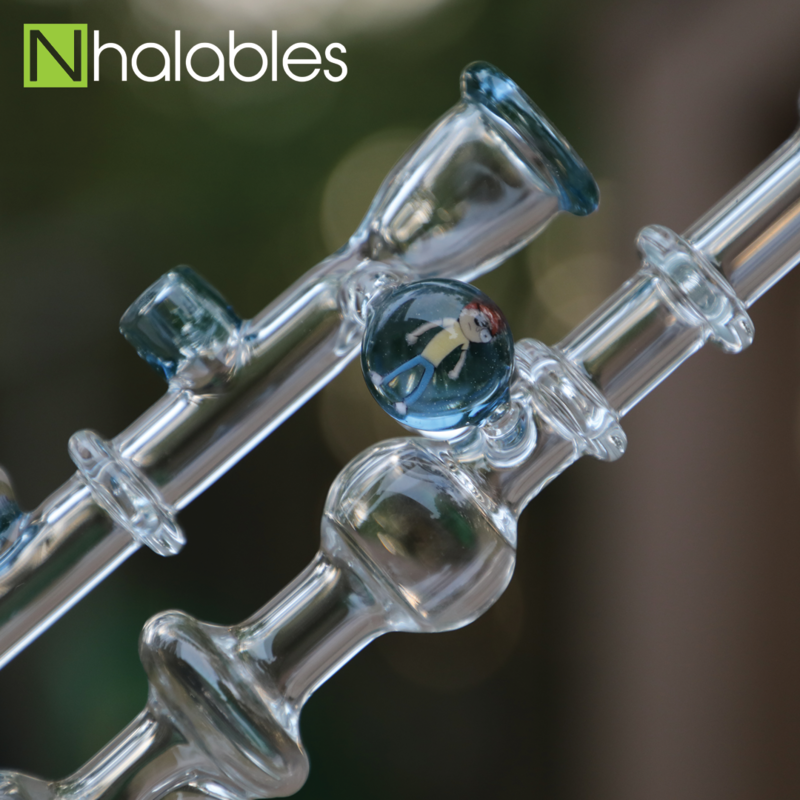 Hawk Glass is one of our favorite glass blowers around. We only get to see him a few times a year and but he always brightens our day with his presence. Truly one of the most genuine guys in the game. Hawk is responsible for the shaping and function of the saxophone itself. That upline spinal perc truly makes this bad boy chug as your hitting it.